what do you guys think about the supposed ancient derelict ship on the moon from the Apollo 20 footage? Antza2, no foul language on the forum please. 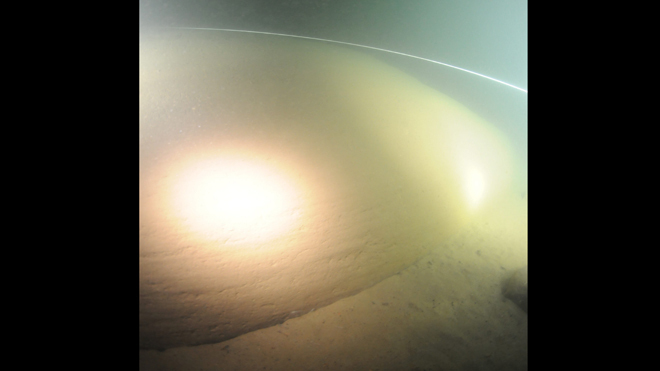 According to the divers it's a disc shaped object of unidentified material sitting on top of a 50 meter high pedestal. Also there is a hole on top of the structure with water flowing out of it. Also electrical equipment has been malfunctioning near it. 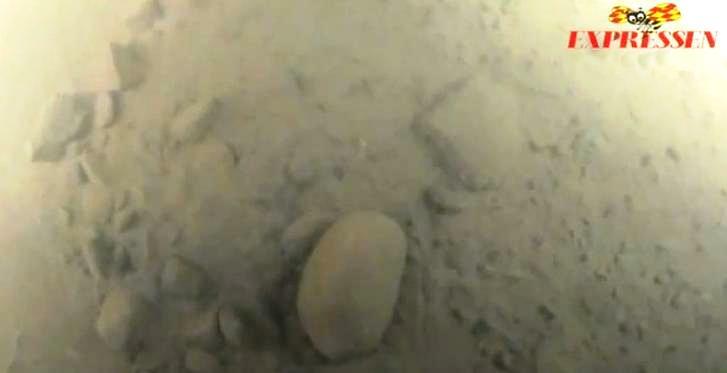 They have also said that the surface is so smooth that the divers have difficulty holding on to it. I would have used the sun from the original photo, duplicated it and altered the colour of the lower one. I was trying to use the exact same image of the suns that the hoax-maker used, which was the Tatooine sunset from that exact shot from Star Wars. I was trying to show how it could have been done better, without changing the pictures being used to make the image. There was no Apollo 20, therefore fake. It would be impossible to send a mission to the Moon without someone knowing about it (and by someone I mean A LOT of people). The reverse is true as well, to any Apollo hoaxers out there. You can't fake sending people to the Moon, it's impossible. was trying to use the exact same image of the suns that the hoax-maker used, which was the Tatooine sunset from that exact shot from Star Wars. I was trying to show how it could have been done better, without changing the pictures being used to make the image. I meant that you can see a little bit (like a few meters) but you can't see the whole object at once. Ah okay. That is was I was thinking at first. I see nothing that looks very unnatural. The only one that looks interesting is the first image, and it is too small to clearly show anything, all I see is a crater-like feature covered in sediment. It is certainly interesting, but it does not look artificial. So the only pictures that exist so far show a surface covered in sediment and rocks, just like the rest of the sea floor? This does not look very convincing of anything extraordinary to me. Perhaps there is an interesting object down at the bottom of the sea. I just haven't seen anything so far that proves it. When the evidence exists, I'll be very excited to see it. Edit: They are also currently using a machine that can render a 3D image of the ocean floor and the object. I agree that the pictures are a bit of a letdown but they have stated that they don't usually operate in waters this deep and that they have had very limited time during their expedition because of their gear. I understand their limitations. One good picture to get would be at one of the "corners" shown in the initial sonar images, where three straight lines converge at 90° angles. That would have been fascinating to see. I probably would not fully trust any account that was not independently verified and peer reviewed, though I'm glad that they are continuing to progress towards figuring out what it is. The ultimate proof for me would be if they were able to raise this thing from the sea, though that would be difficult, expensive, and potentially damaging to the object. The next best thing would be a thorough investigation of the object in the sea, with a photographic map of its entire accessible surface, and pictures of locations with the sediments removed so we can see its native surface material. The ultimate proof for me would be if they were able to raise this thing from the sea, though that would be difficult, expensive, and potentially damaging to the object. Since the object is 60 meter wide i think that's impossible. I think if Stockholm University is investigating the object i can also trust in the validity of the findings. It is 60 feet (18 meters), the length of a medium sized jet fighter. Much larger objects have been raised before I think. It all depends on its mass. If it's hollow, it could be raised fairly easily. If it is solid, then it would be much harder. Oops! I reversed the sizes in my head . That would indeed be pretty easy to lift if it's hollow. I agree that certain amount of skepticism is required. In my comment i mainly meant the findings they make from the samples they were given. They can't see the terribly misaligned pixels? To me it looks like something from a city. Like a big stone slab thats ended up underwater and worn away after all this time. 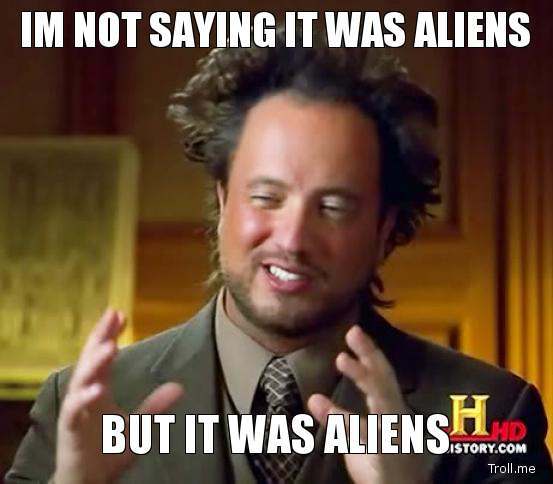 I really doubt it was ever anything alien or, at it's size and weight, ever flew. Still an interesting object. As far as I know it has yet to be weighed, its composition is still undergoing analysis, and its size is smaller than many flying machines constructed by humans. Even the space shuttle orbiter was bigger, and it was orbit capable. Now that is more interesting. From pages I've been reading they have weight estimations all over the place, and size I meant by what people were estimating as density.